With its volcanoes, lakes, rivers, mountains, and unique culture, the Lakes District is one of the most enchanting places in Chile, and there are endless ways you can explore and fall in love with this lovely corner of the world. Here are our ten favorite ways to experience Chile’s Lake District! 1. Go kayaking – With its pristine blue lakes and rivers, the Lakes District is one of the best places in Chile for kayaking! There are more turbulent rivers and streams for more experienced kayakers, as well as plenty of leisurely streams and lakes that are perfect for newbies or kayakers who enjoy going kayaking to look for wildlife or go birding. 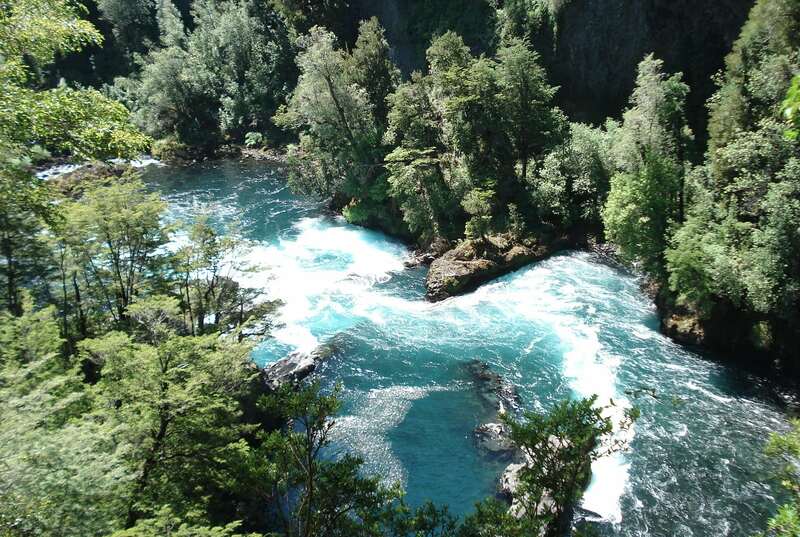 Pumalin Park, Llanquihue Lake, the Petrohue River, and the Huilo Huilo Biological Reserve are all popular spots, and sea kayaking along the coast is also a wonderful way to know the bays, marshes, and waterways of the Chilean coastline. 2. 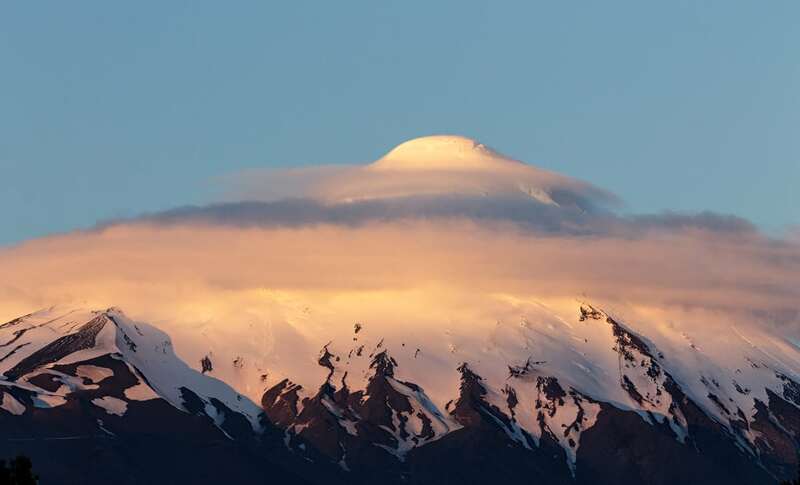 Hit the trails – Valleys, mountains, volcanoes…the Lakes District is Ground Zero for great hiking in Chile! You can see amazing vistas and landscapes, as well as challenge yourself and get up close with the unique flora and fauna of the south. The national parks and protected lands of the Lakes District are great places to start for single and multi-day trekking and hiking options: Huilo Huilo Biological Reserve, Vincente Peréz Rosales National Park, and Pumalin National Park all have jaw-dropping scenery, and have a wide range of hikes for all ages and levels of experience. 3. 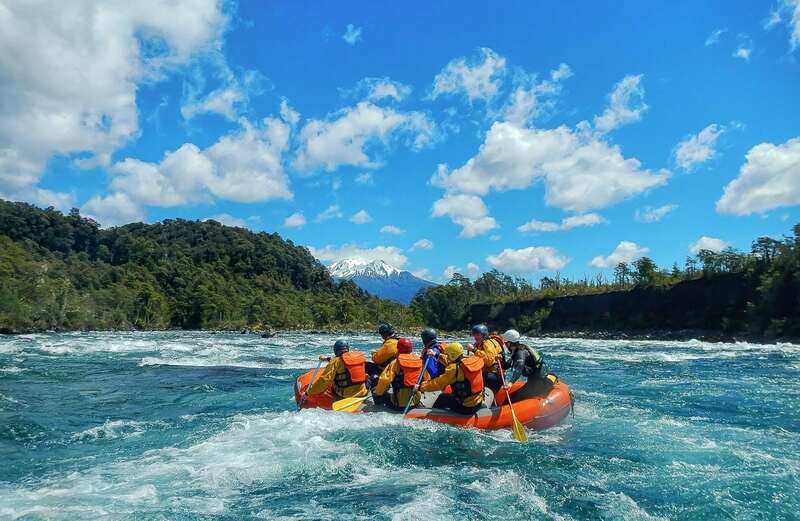 Feel the thrill of white water rapids – The white water rafting in southern Chile is considered to be some of the best in the world, full of rapid descents and a wide variety of classes of rapids. The Trancura or Liucura Rivers are the rivers to go to if you want to truly experience white water rapids, either rafting or kayaking. 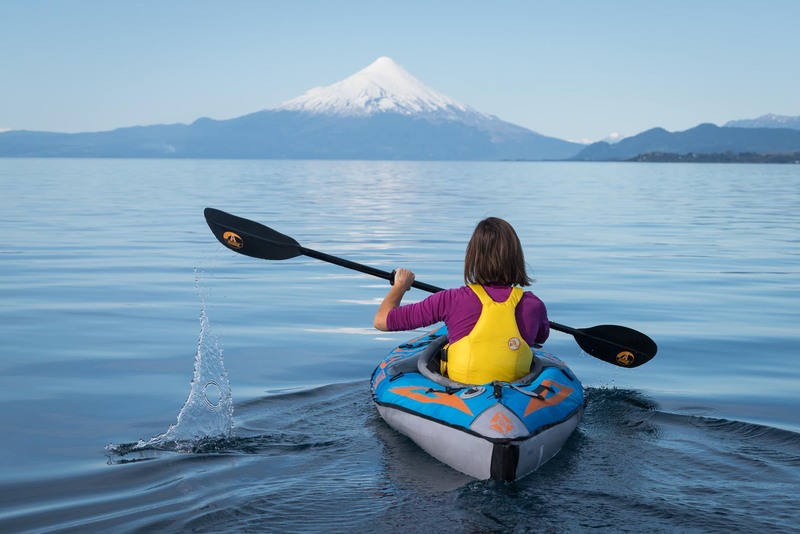 There are options year-round, many of the top rivers are close to popular adventure destinations like Pucon, and the views from the rivers are absolutely mesmerizing. You’ll never forget the thrill of riding those white waters! 4. 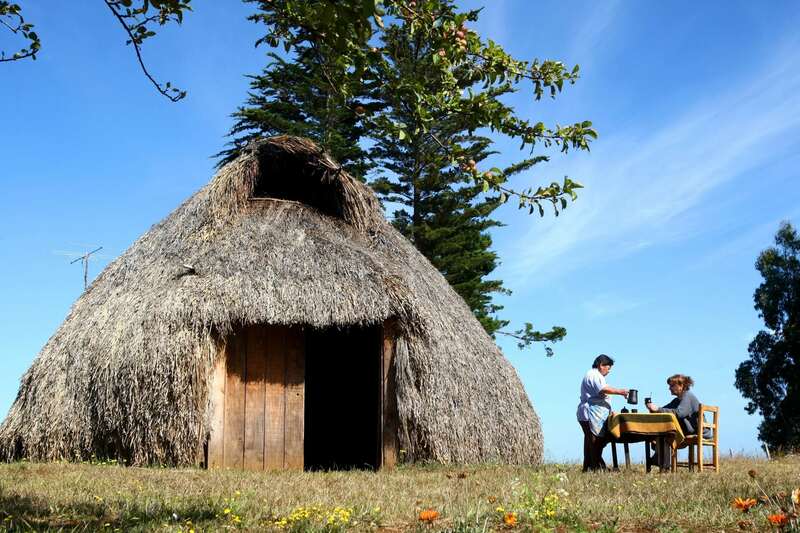 Learn about the Mapuche people – The Mapuches are one of Chile’s oldest and most culturally significant indigenous groups, and they were the only tribe that was able to beat back the Spanish when they first came to the country. The south has long been the Mapuche’s stronghold so the cultural influence here is still very strong. Many own businesses and restaurants where you can see their handicrafts and eat traditional foods, but a visit to a traditional ruka offers a fascinating glimpse into this ancient and incredible people. 5. Try local craft beers – Thanks to a surge of German immigrants in the 1800s, Southern Chile is a Mecca for craft brewing. The region has been overflowing in hops and foam heads ever since, and you’ll find breweries both big and small everywhere, making everything from IPAs to golden ales to stouts. 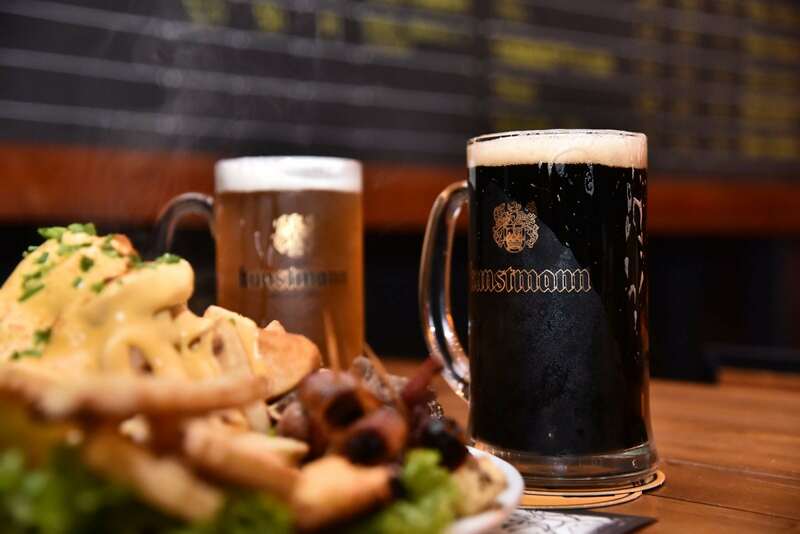 Valdivia has a great brewing scene as it’s the home of Cerveceria Kunstmann, which is one of the oldest breweries in Chile and has a fantastic beer festival every summer. Keep going south from there and you’ll never be far from a brewery or beer garden; Pucon and Puerto Varas also have great microbrew scenes. 6. Climb up a volcano! – The Lakes District is home to many striking volcanoes, some of which are still active! But you can do much more than just enjoy their beauty; there are several that you can actually climb up! The most popular is Villarrica Volcano outside Pucon, where you can take a tour walking up to the smoking crater, take in the view (and be careful!) and then, if there’s snow, sled back down! 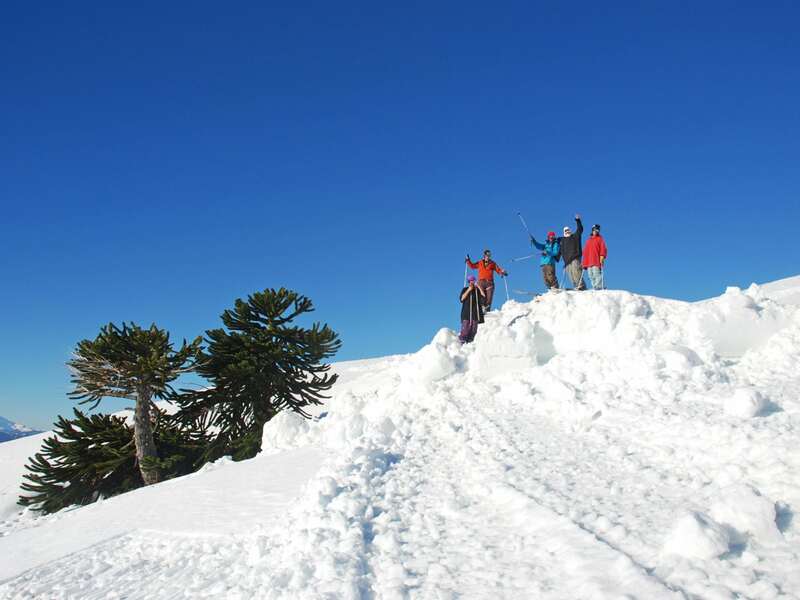 There’s also a ski resort on one of Villarica’s slopes that’s open during the winter months. 7. Sightsee traditional German houses – The prevalence of German culture and food is part of what makes the Lakes District of Chile so unique, and this also extends to the exquisite German-Chilean houses that were built using native Alerce wood but with classic Gothic Script styling and colorful walls and trim. 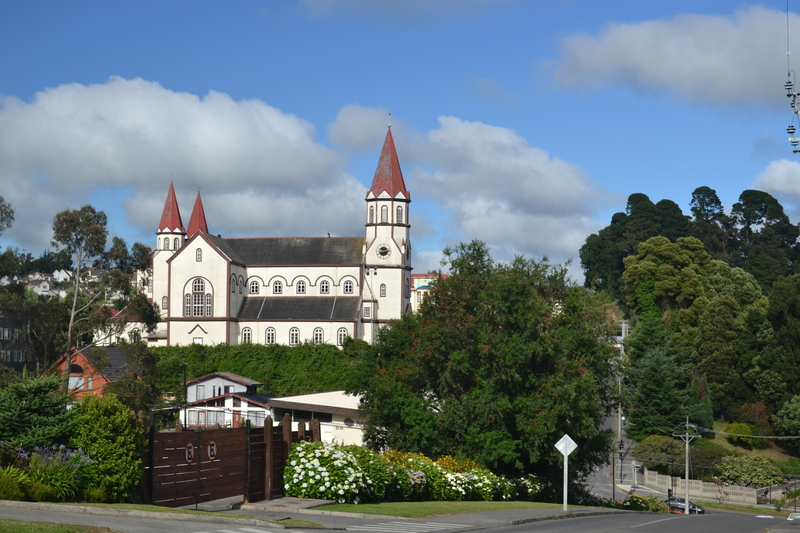 Although you can see an example of these houses all over the region, the German heritage neighborhood in Puerto Varas has fantastically-maintained examples that you can easily walk around the city and see, like the Kuschel House, Niklitschek House, and the German House, as well as the iconic red-and-white Church of the Sacred Heart that overlooks the city. 8. 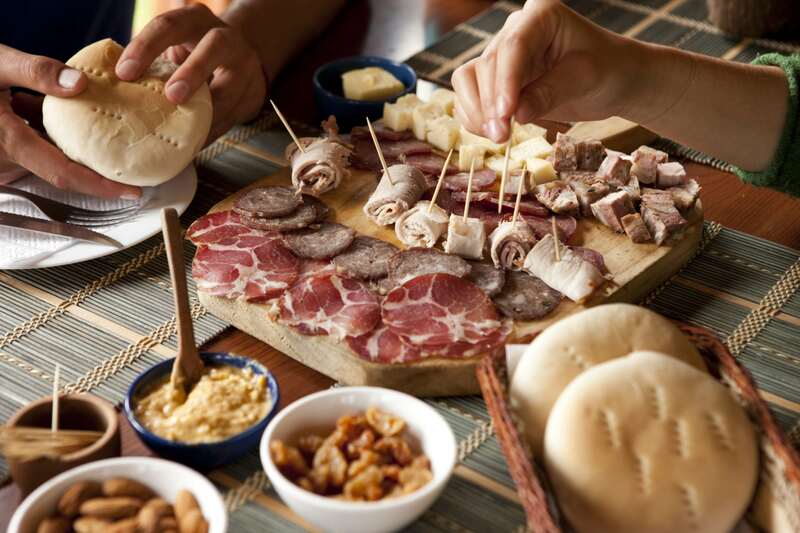 Taste the culinary mix of the south – The cultural melting pot of German, Spanish, Mapuche, and other European influences has created a culinary scene unlike anywhere else in Chile. German kuchen, a kind of pie which can be made with different kinds of fruit, can be enjoyed for breakfast or afternoon tea. German sausage and hearty potato dishes are also very widely eaten. Dishes like papas bravas, serrano ham, and sheep and cow are evident of the more Spanish and Chilean influences, and Mapuche cuisine heavily features foraged foods like mushrooms and wild fish. At restaurants throughout the region, you’ll be able to try the different flavors and backgrounds of this diverse part of Chile. 9. 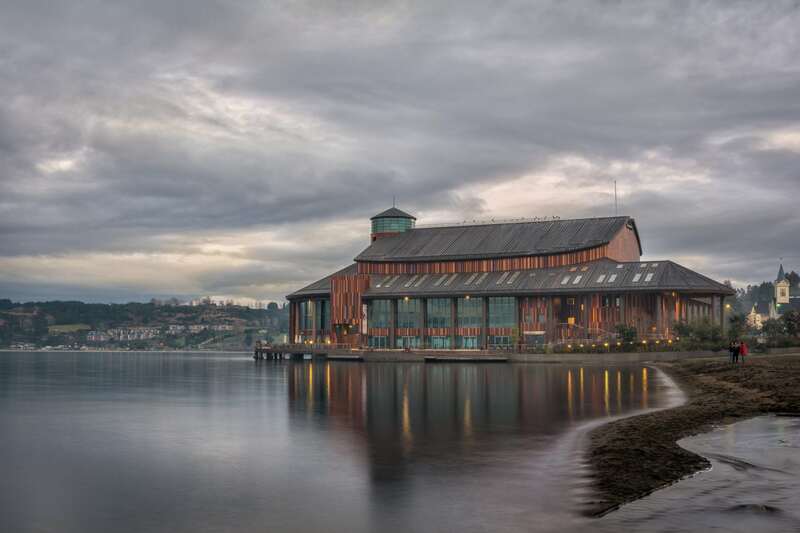 See world-class music and theater at the Teatro del Lago in Frutillar – Set against the dramatic backdrop of Llanquihue Lake and the Osorno Volcano, this theater has quickly made a name for itself in the world of performing arts and music as one of the top performing arts centers in South America, with its symphony and classical music series, staged plays, and arts education program for local kids. The famous Frutillar Classical Music Festival takes place here, and the theater itself is a dream to look at, the outside walls made with multi-colored wooden slats. 10. Relax in thermal hot springs – Since the Lakes District is a land of fire and water, it stands to reason that those two elements would occasionally mix in the form of thermal hot springs. 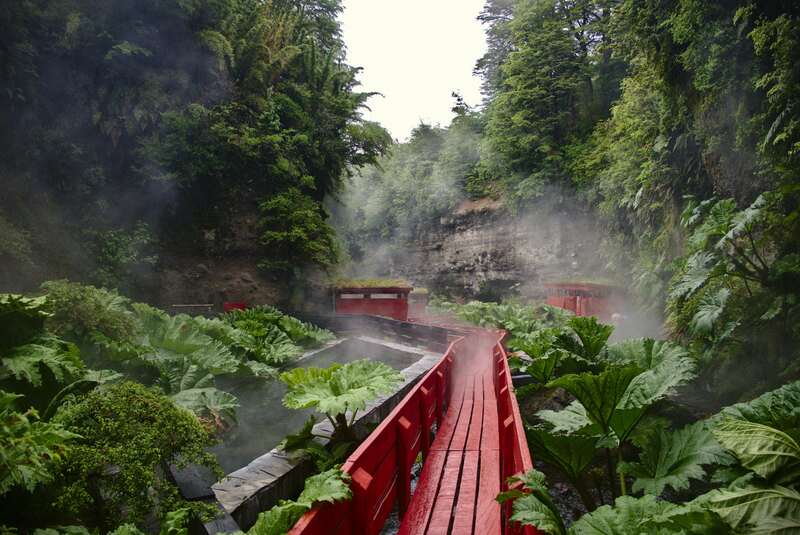 There are volcanic-heated hot springs throughout the region, and one of the most popular is the Termas Geometricas near Pucon. Designers created Japanese-inspired wooden red walkways and huts stretching between the heated pools at this site, which is sheltered by a natural canyon, creating an ethereal, mystical feel.